Summer is a wonderful season with many hot sunny days. We do not feel like eating anything heavy, long cooked dishes. Naturally we gravitate to refreshing, juicy and cool food. 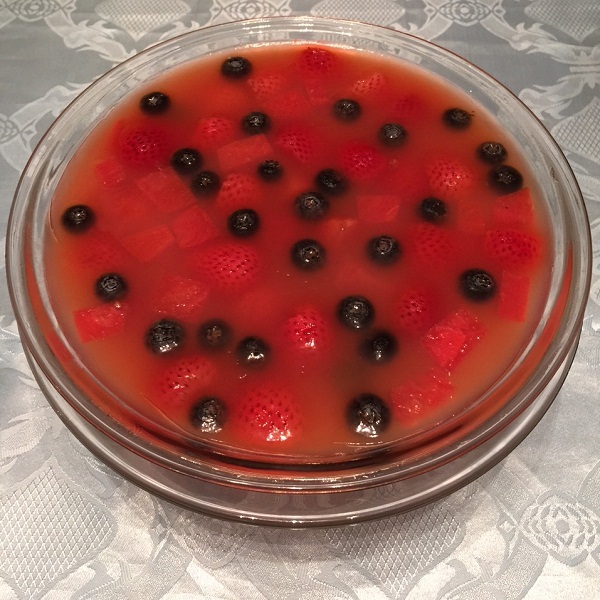 This dessert will give you full satisfaction of fresh watermelon and berries while taking it easy on one’s weak intestines by quickly cooking them with agar-agar. This delicious dessert is easy to make and it helps to digest your meal as a contrary to the majority of sweets. It could be enjoyed any time of the day. Combine water and apple juice in a cooking pot. Reduce the flame when it starts boiling. Add agar-agar slowly and stir it in until dissolved. Add lemon zest, brown rice syrup and continue cooking for 3 minutes. Add watermelon, strawberries and blueberries. Increase the flame to keep it hot. Simmer for 4-5 minutes. Put in a cool place to cool off. Pour to the dessert bowl(s). When it is cool enough to place it in the refrigerator. 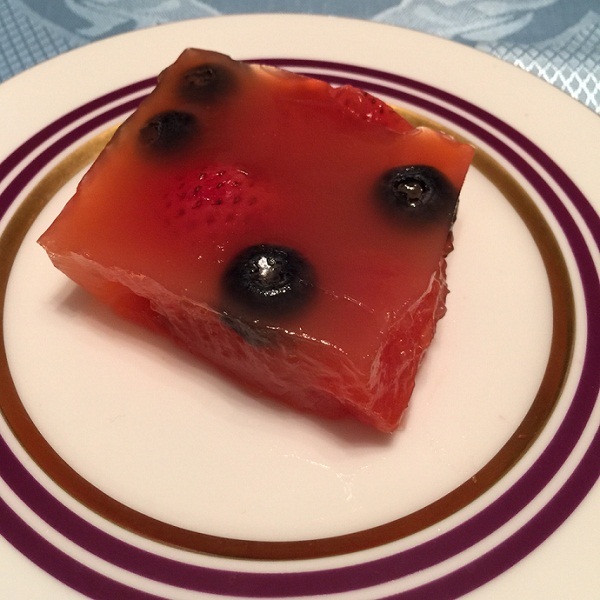 When it is jellied, it is ready to be served and enjoyed!